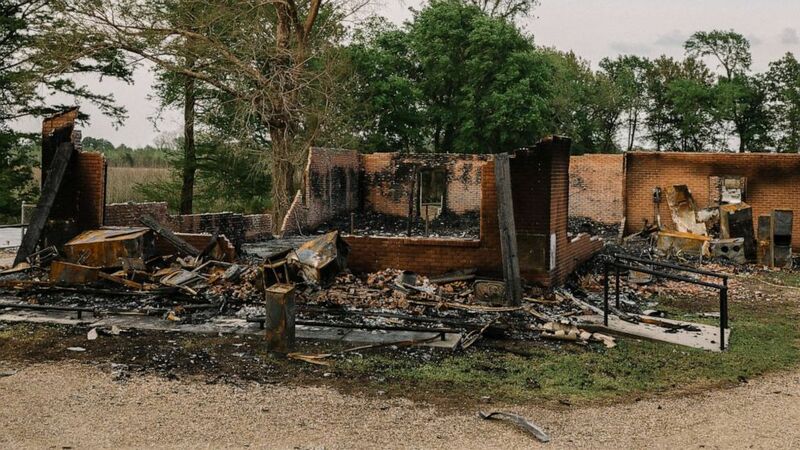 The man who was arrested after a string of fires left historically black churches gravely burned is now facing hate crime charges. The Associated Press reports Matthews did not speak during the hearing, which came after prosecutors filed papers to add three charges accusing Matthews of violating the state's hate crime law. Those three charges come in addition to three charges of arson of a religious building that Matthews already faced. "We felt that he was an immediate risk to public safety," said Louisiana Fire Marshal Butch Browning, according to the AP. "In my mind, I felt another fire was imminent," Browning said in court Monday. Matthews' father, who works for the local sheriff's department, was present at Monday's hearing. The AP said the suspect's parents watched from a video conference of the courtroom, and at one point his father was seen leaving the room in tears.